The inability to conceive children is experienced as a stressful situation by individuals and couples all around the world. The emotions associated with infertility come from both the inside and out. In many communities, the demand to have children is instilled at a very early age. Infertility is not an easy situation to deal with. You may feel social pressure to have kids or feel judgment from well-meaning friends, family members, or even strangers. you may be plagued by feelings of inadequacy, emptiness, or failure that interfere with both your quality of life and the quality of your relationship. Emotinal Support- When you’re undergoing fertility treatments, there will be people who just won’t know the right thing to do you should end up distancing myself from some friends who says negative things about the treatment.Be with the family or friend who supports you. Control your thoughts- So much of the stress of IVF comes from your own mind. You’re worried about the expense, you wonder whether the next round will work, and you think about what you’ll do if things don’t work out. Plus, seeing others get pregnant and have babies can be really upsetting when you’re trying to cope with infertility. You don’t need to listen to your thoughts all the time,Be Positive than all the things will fall in the right place. Meditation and yoga can also help you regulate your thoughts. Distract yourself- Whether you’re currently going through an IVF cycle or you’re in between treatments, try to focus on other things as much as possible. Live in a good positive surrounding and forget everything we were going through. As tempting as it might be to do an early home pregnancy test before you’re scheduled to take a test at the clinic.you have to do pregnancy test on the dates given by Doctor.because doing an early pregnancy test can show a false positive or false negative report. And finally, remember to be your own best friend. Stop blaming yourself and treat yourself to the same supportiveness. 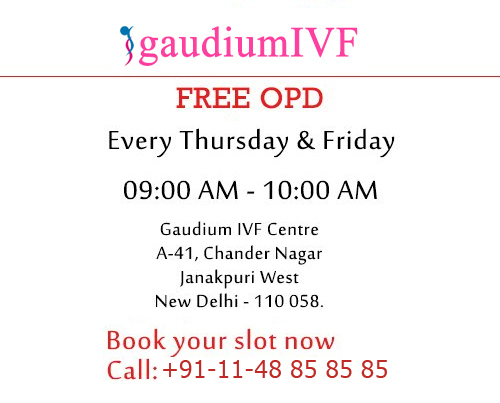 At Gaudium IVF Centre,we Practice mantra to give a emotional support and to help them to cope with their stress.